There's always a boisterous feeling at Fall for Dance. It's a 10-day affair, a smorgasbord of performances by 20 companies from around the globe. The $15 price tag makes it much more affordable than other dance fare. And the house is always packed and vocal. The clear highlight this year was the appearance of not one, not two, but three much adored ballerinas - two who have retired from the ballet stage. But the festival also was notable for its great diversity of offerings. Opening night was especially boisterous. 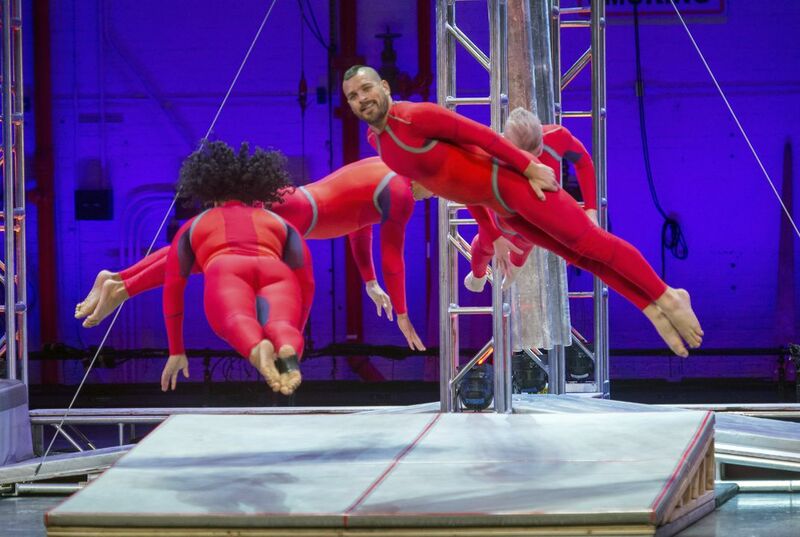 This was thanks to the Brooklyn-based Streb Extreme Action. It is a troupe that performs high-flying, injury-defying feats that often include dancers slamming their bodies into the floor from nauseating heights. In later programs came the ballerinas. First up was Wendy Whelan. She retired from the New York City Ballet two years ago but has been busy exploring contemporary dance. A beloved New York fixture, Whelan appeared not in pointe shoes but in black heels, along with black stockings, topped with a button-down white shirt. Whelan performed with Edward Watson of the Royal Ballet in Arthur Pita's "The Ballad of Mack and Ginny." It is a tango-inflected piece. It's set to Kurt Weill's "Tango Ballad" from the 1928 musical "The Threepenny Opera." This article was really interesting. I learned about some really commited and popular ballerinas. I had also had no idea that there were dance festivals before I read this article. I think I'll try to go to one soon because I like to dance and the dancing in this article really impressed and interested me. Because they want the attenders to enjoy themselves and to share the brilliant talents of all the people performing for them. It would be a waste to not have any pictures or memories of, maybe, one of the greatest shows you've ever attended.